We are a proud dealer of Highbury Pool Products! 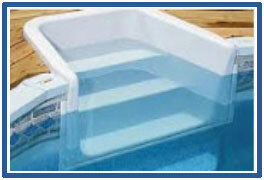 Highbury Pools is a leading manufacturer in the pool industry. 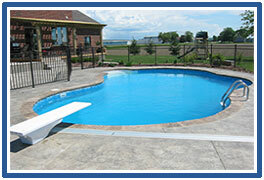 They have the experience and know how to custom build almost any pool. Originally Highbury Pools started out building galvanized steel walls, eventually expanding their manufacturing line to include in-ground and on-ground galvanized walls, aluminum coping, liners, and in-ground stairs. Highbury Pools has the shortest lead times in the industry and they acheive this by having a large inventory of stock ready to ship to us. Highbury Pools is Canadian owned and operated. Highbury In-Grounds offer the greatest structural integrity, endless options of shape and size, multiple installation options and great warranty. If you are looking for a superior in-ground pool, then look no further than Highbury Pools. 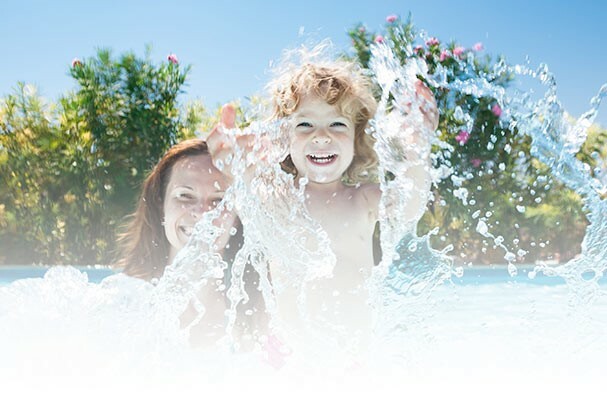 Highbury are leading innovators of the Pool industry! Premium liners by Highbury Pools boasts the exclusive invisiseal liner welding technology; stronger and much better looking! Highbury’s liners are made with the thickest vinyl in the industry so you liner will last. Our Picture Measuring System provides incredibly accurate measurements for a great fitting liner. We can have your liner made in short lead times so you can get swimming! 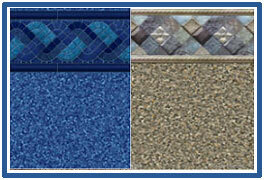 We invite you to enjoy our collection of quality in-ground pool steps. With multiple models and colours, our stairs are guaranteed to satisfy the most pristine design. Not only will a stair make access and entry a easy for everyone, it will give your pool an elegant look and provide a place for you sit and relax.